The Yorkshire has a cushioned sole and a ribbed, ¾ length leg. It is also known as our ‘welly’ sock. This sock is ideal for farmers or gardeners or anyone wishing to tuck their trousers into their sock and wear with wellies or boots. 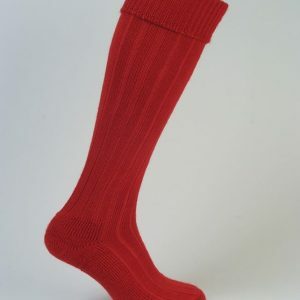 During hotter months, many walkers have been wearing this sock as their ‘Summer walking sock’. I have never actually worn the welly socks, but buy them for my brother, a professional gardener. This is a repeat request from him, so he obviously rates them as highly as I do. I bought them first on holiday in Morpeth and have been wearing the shorter ones ever since. They’re really good, warm comfy socks. Mohair is a very hard wearing fibre and is used for fabrics in aircraft seats for this reason. Many of our customers tell us that they have purchased ‘good quality’ socks from well known stores and they have worn out within 3 or 4 months. Whereas their Capricorn Mohair Socks are still wearing well! You can wash your Mohair socks in a washing machine on a warm wool wash cycle, without worrying about excessive shrinkage. When we visit shows selling our socks it’s not unusual for customers to proudly bring their Capricorn Mohair Socks they bought the previous year and show us how well they have worn and washed. Do not smell after use! If you look at wool under a microscope you see little burrs. These burrs provide a hiding place for bacteria that make wool socks smell. Mohair is a smooth fibre and has no hiding places for bacteria and that is why Mohair Socks do not smell!! Do I have to Hand wash? We advise that you wash the socks separately for the first few times, just in case. What do I do if I wash them in water that is too hot? Why do you add nylon to the Mohair? Mohair has lots of strength and resistance to abrasion, but not much elasticity – so we add a special sort of nylon which augments the nylon but doesn’t detract from it’s benefits. Come on, why don’t they smell? I have poor circulation – can I wear Capricorn Mohair Socks? The loose top Sussex style don’t have an elastic top, instead they are ribbed to make them stay up. These socks also have a ‘linked toe’ in them to so you don’t have that horrible ridge under your toes. We sell lots of these socks to diabetics and people with circulation problems. I am allergic to wool – can I wear your socks? Being a hair, you could argue that it is more natural to wear mohair than wool from sheep. We have lots of customers with sensitive skin who wear our sock without any trouble. If you do have sensitive skin, why not try a pair of our cream coloured socks, they are not dyed to are kinder and softer on your feet. 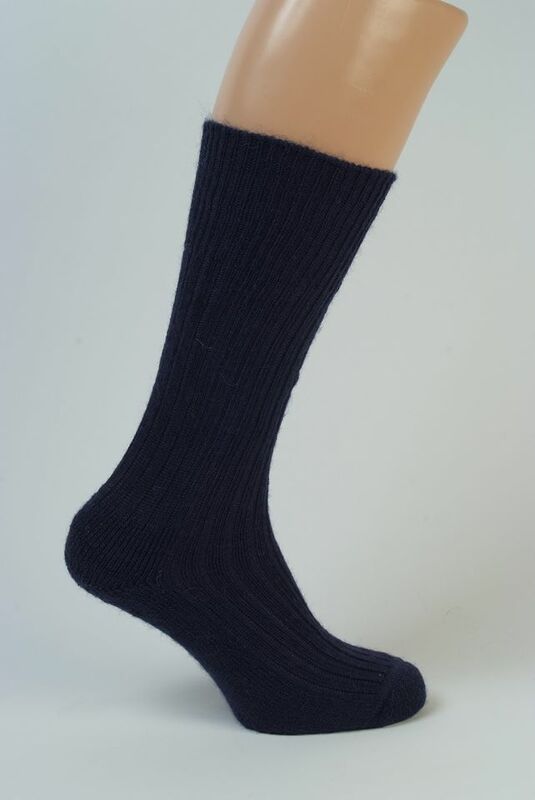 This full-length Sock has thick terry loop pile construction from top to toe. This sock will keep you toasty and warm when outdoors whatever your chosen activity. Northumberland Plus has been knitted with extra thickness, length and turnover in mind. This style is full length with a turn over top, ribbed leg and a loop pile cushion sole. This sock was designed as a practical sock for outdoor lovers.